This profile is for the antianxiety/mood regulator peptide selank – those who are looking for a means of stabilising their nerves, levelling out their mood and generally ensuring that they feel at their “best” either throughout a steroid cycle or during everyday life should definitely consider buying selank; it could make a stressful situation much easier to cope with. We’ll first outline where you can purchase this popular “nootropic” before explaining its expanded series of benefits. At Valkyrie, we have established ourselves as one of the leading online retailers for anabolic products due to our dedication to customers satisfaction from the moment we broke onto the scene. We like to make securing peptides or any other cycle/health-related substance as easy as possible, and we don’t believe you as a user should experience any unnecessary stress along the way either. We offer a streamlined, high-quality experience that’s guaranteed to please you from the first order you make right through to your tenth cycle with us – everything from the accessible ordering process to the discreet delivery methods on offer are designed for maximum convenience and safety. In order to buy selank online from us, you simply need to look for the item using its name via the search function at the top of our homepage, following which you’ll encounter every available variety of the compound we currently have available. It’s then a simple case of adding it to your digital basket and processing payment; your item will then be swiftly and discreetly shipped out to you in accordance with the postage guidelines found in our FAQ section. All of our items are manufactured according to the GMP guidelines to ensure optimum sterility and concentration – this means you are not only completely safe in our hands, but you’re also guaranteed to get the results you’re looking for too. This product is classed as a “nootropic” – this means that it is used to improve memory, mood and other aspects of cognitive functionality. It is amongst the best peptides for bodybuilding in regards to providing excellent support for those performing a cycle, though it is often overlooked. Many people are so hooked on taking the right combination of compounds to achieve their goals and how to support the physical processes involved in utilising steroids (i.e., liver support, anti estrogen products) that they tend to forget about the mental strain that a particularly harsh cycle can place on them. Whether you’re performing a bulk or a cut, you’re going to face a unique series of mental challenges in relation to everything from having to adjust to gaining excess body fat within a short time frame, getting tired and worn out, struggling to cope on a low calorie diet and generally feeling mentally suppressed. This is where selank comes into play – it acts as a powerful means of counteracting anxiety (a fairly common issue when cutting due to being in a suppressed mental state), regulates/elevates mood and improves cognitive functionality. Whilst the elevation of mood can be important during a bulking phase; the above positive elements are perhaps doubly important for those who cut. Their lack of calories and physical energy can easily lead to them feeling depressed and finding it difficult to simply “get through” everyday tasks, especially during the latter week where their water intake is at a minimum. If you need a reliable means of ensuring that you aren’t susceptible to any nasty “crashes” in energy and concentration, then you should strongly consider making the decision to purchase selank. Overall, selank side effects are considered to be almost non-existent and very dependent on the individual genetics of the user. Whilst there are no significant reported side effects in regards to direct negative impact on the body, some users have reported it having the opposite effect to those intended when implementing it into a cycle. This might sound strange considering the drug was designed to fulfil exactly the opposite functions to those stated above, but this is actually quite a common occurrence in regards to anxiety related / mood elevation medication in general. What almost everybody agrees on is that the risk potential and the risk potency on offer with selank are both less potent than they would ordinarily be when taking “typical” mood alteration products. Some users, for instance, report horrific bouts of depression and anxiety when taking other pharmaceutical items of this nature, but so far selank users have only reported the fairly mild manifestation of negative issues in this regard. It’s also worth noting that the likelihood of issues arising is largely going to be related to your underlying genetics and the combination of items that you choose to utilise selank with; for this reason, a check up with your GP prior to use would be a wise course of action to try and discern any contraindicative elements. These two products get frequently compared; their name may lead to some confusion as they are both similarly labelled – they were also both produced in Russia in the same laboratory and fall into the heptapeptide category of drugs. Realistically though, this is where the similarities start to dwindle – though they do both achieve arguably similar results within the body, they do so in a completely different manner to one another. Selank increases the release of the “feel good” chemical serotonin whilst simultaneously working with the hormone “tufstin” found in the human spleen. In contrast, semax is closely related to the adrenocorticotropic hormone produced by the pituitary gland. In regards to “real world” application, semax acts as more of an “excitement” agent, improving motivation and concentration in an almost stimulant like manner, whereas selank has more of an impact on the general mood of the user. Realistically, you could use either item to overcome periods of low energy and mental suppression, but you’d have to isolate precisely what effect you’d prefer to manifest in order to adequately cater for your needs. For instance, if you were suffering from anxiety and depression then selank would likely prove to be the best option, on balance, if you were simply suffering from periods of low energy and lethargy then semax may be the better choice. As with any compound; it’s all about weighing up the item benefits and selecting the ones that are the most relevant to your current situation. 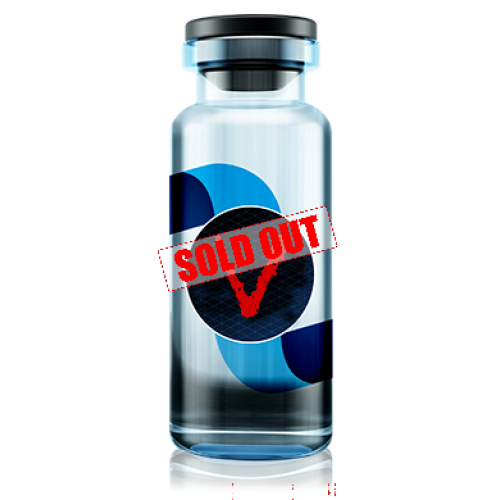 Valkyrie is without doubt the best steroid source on the internet; we take great pride in offering all peptide varieties, oral anabolics, injectable anabolics and a wide array of supplementary material to guarantee your safety. Where others fall short is in their attention to detail; we would never offer an item that hadn’t been extensively batch tested or produced in accordance with industry leading standards – many other sites will whimsically offer items that even they know very little about in terms of origin, concentration and sterility. Our immense array of user reviews support our claims, and if that wasn’t enough, we like to reward repeat custom through our incredible loyalty scheme. Whether you choose to continue with selank for a second cycle or move onto other compounds, don’t forget to take advantage of this bonus system in order to save hundreds per year, possibly even thousands.